Some of the streaming giant's subscription plans will cost a dollar or two more a month, but the price of one plan won't change. Netflix is raising its prices — but don't freak out just yet. The plans are, at most, going up $2 a month. Although, in one case, it is a more than 16 percent hike. Mashable was the first to report the standard $9.99 plan will increase by a dollar. The premium, Ultra HD plan is bumping up $2. Meanwhile, the basic $7.99 plan is staying at $7.99. U.S. subscribers will be charged those higher prices as early as November. 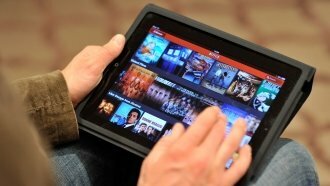 Netflix counts over 50 million households as customers, so even a dollar increase can amount to a lot of revenue. But Netflix may also need a lot more money, considering how much it spends on content. The streaming service spent $5 billion on content in 2016 and $6 billion this year. Netflix's chief content officer told Variety the company plans on spending $7 billion next year. Most of that money has been going to licensed content, but the company aims to eventually have half of the movies and shows it airs be original projects.